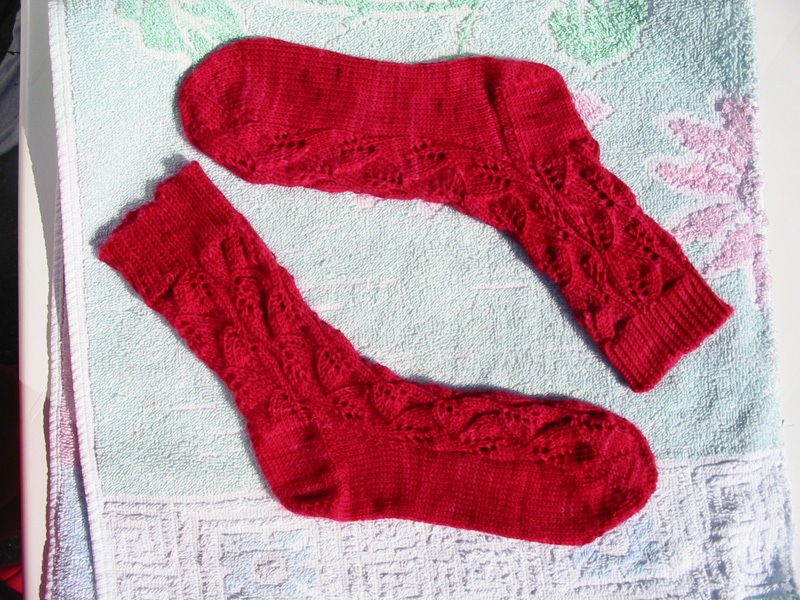 The Pattern is fun to knit and really intuitive, the yarn is absolutely georgeous = I love everything about this project, including wearing them! 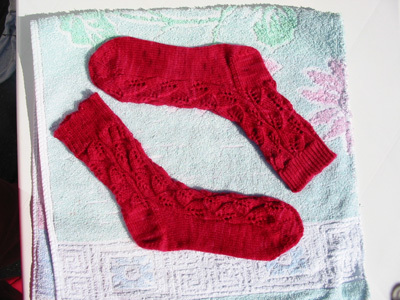 They were also my fastest socks: CO 5 May 2006, BO 13 May 2006, posted.. well, a little bit later. by Carola at 6:18 f.h. maí 22, 2006 5:53 e.h.
Beautiful socks. You really cranked those out! maí 22, 2006 7:15 e.h.
maí 22, 2006 9:52 e.h.
WOW! Love the color and I'm a little jealous you got to try the illustrious STR! The pattern is on my to-do list as well, I just got it a couple of weeks ago. maí 23, 2006 11:24 f.h. I'm jealous of the STR too--they look so vibrant and comfortable! maí 23, 2006 2:58 e.h.